What can you see? Look closer. What/who is the figure in the mist? Are there more of them? 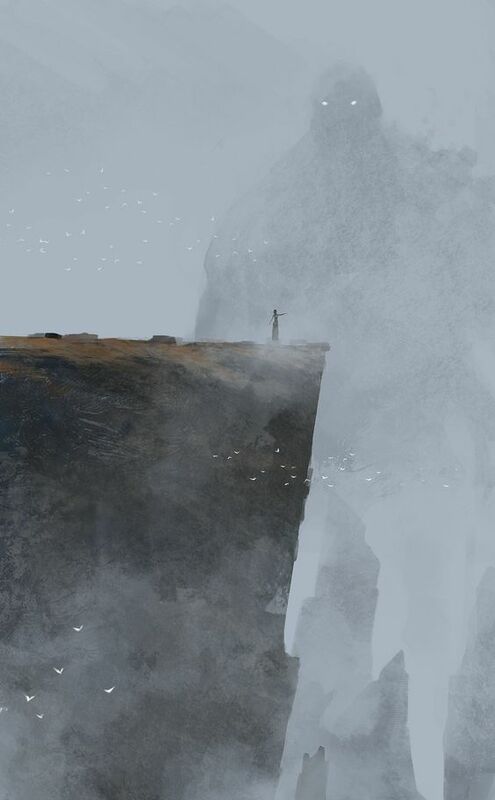 Who is the person standing on the cliff top? Share the title & meaning of ‘summon’ – who is ‘The Summoner’? How do you know? Where do you think this could be? this once I have to do for school.